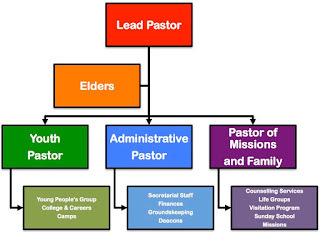 Our church just got a flow chart. It’s our very first. And … oh yes … Someone Else is missing. I just can’t think of who he is. Weep for us. We have entered the age of the business-model church. Our elders are still around, but are as weak as milk. “Spiritual professionals” now run things on our behalf, and we funnel up funds to make it worth their while. Hirelings are in the house. Meanwhile, the lower functionaries are being classified, titled, regimented, segmented, and put into streams of accountability. Formal roles are taking over from volunteerism. Jobs are no longer open to talent. Giftedness is out. And the “priesthood of all believers”? What’s that? The wider congregation is settling back into the pews, oblivious or indifferent to what God may have equipped them to do. From now on, they are to be the ground-level consumers whose needs will henceforth be supplied by our new institution of spirituality. For us, it may well all be over. Save yourselves while there’s still time. You see, local churches are not multinational corporations or even small businesses. They’re not about money, markets, strategies and customer service (though recently the church consultancy industry has been quick to assure us that they are). No, a church is an organic entity, a local manifestation of the Body of Christ. Its priorities are spiritual, not consumerist. Its purposes are worship, prayer, God’s truth and real fellowship with others dedicated to the same values. Things like numbers, flow charts, mission statements, demographics, surveys, financial reports, popularity, marketing and investors, things so central to running businesses, are not at all what we’re about. Here’s the key difference: businesses and corporations run very well without reference to God. But the local church cannot be what it should be for even one minute if it is out of connection with its head, the Lord Jesus Christ. It’s dead without him. In fact, if you are running something you call a “church” and it can go on without prayer, without going back to the scripture continually, and without giving any thought to the Lord’s view of anything it’s doing, then what you’re running isn’t actually a church — it’s merely a religious bureaucracy. Real churches, by definition, don’t run without depending on the Head of the Church. And yet, how many of these religious bureaucracies do we have around us today? Plenty, it would seem. Many so-called churches now do their day-to-day operations without the slightest need for spiritual input. In fact, many of them run very well by the cleverness of business experts or by the sheer ingenuity of their own members. Okay, let’s not get upset here. I’m not accusing all Christians of selling out to the methods of the corporations. But I am saying that if we’re operating like a corporation, then there’s something terribly, terribly wrong with us. And I’m not the first to say it. In fact, half a century ago A.W. Tozer, that cunning old codger, saw this specific problem coming, and made the same point better than I can. His poignant little essay, The Waning Authority of Christ in the Churches (1963) is called by many “a Christian classic”. Well, maybe: but how would he know? He’s old and dead. In all these scenarios, said Tozer, we may crack the spine of our Bibles for a minute or two, but then we charge ahead on the assumption that we (or our preferred experts) really know what has to be done anyway; and in all our activities after that, added Tozer (with dripping irony), “… the Head of the Church is respectfully silent while the real rulers take over”. Lovely. Well, is he right? 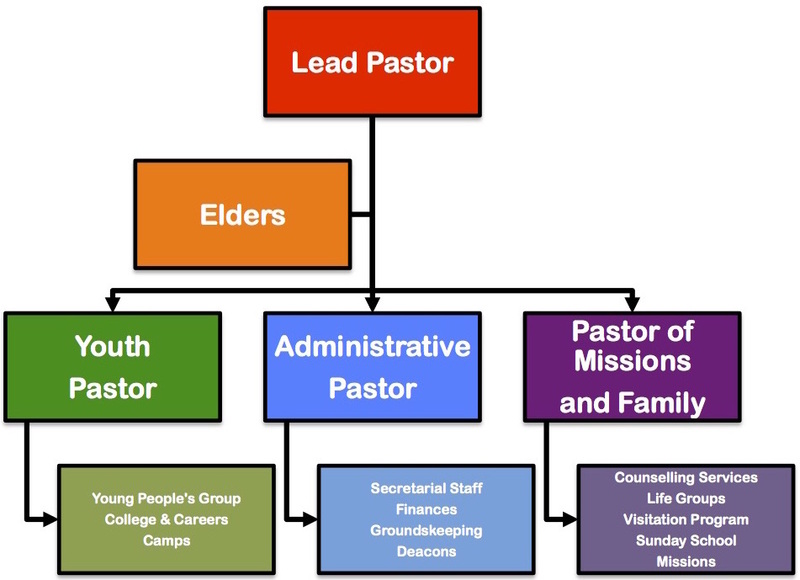 Have you been at any planning meetings, elders’ meetings, “worship” services or other such nominally spiritual gatherings that fit the patterns he indicts above? I know I sure have. And more often than I’d like to admit, I’ve participated in the kind of indifferent decision-making Tozer calls to account. I find it as natural as anyone does to think I know something, and then rush ahead to get it done, instead of giving a moment’s thought to how the Head of the Church fits into my plans. In fact, what is he doing being fitted into my plans at all? Shouldn’t I be looking to be fitted into his? And if I think that’s going to happen without me praying or opening his word, I’m just fooling myself. If I think I can storm ahead after some kind of perfunctory prayer for blessing, I’m being an idiot. I mean that literally. Do you know what an idiot is? It’s someone who thinks his own id (self) is sufficient. The ancient Greeks coined the word. They thought the stupidest thing a person could do is absent himself from communal life or political involvement, and follow his own private prejudices. But the Greeks were wrong: the stupidest thing is to try to do spiritual work without dependence on God. The apostle Paul understood that. When the Galatians were turning back to the old religious practices, he asked them this question: “Are you so foolish? Having begun by the Spirit, are you now being perfected by the flesh?” His point is that they were saved when they gave up on themselves and turned to God for help; and having begun that way, did they really think that they would afterward be transformed and perfected as Christians by mucking about with fleshly, legal adjustments? How absurd. But if Tozer is right, this cuts us too. For what could be more foolish than to think that we could perfect the church, the fellowship of the people of God, by the solitary ingenuity of the self we had to put to death when we were saved, or by the wisdom of the world, the same world that crucified the Savior? We need to relearn our dependence on God. And I don’t mean that we just need to grasp it in theory (for who would deny it? ), but that we need to make it our practice. For it is not what we say we do, but what we actually do that reveals what we actually believe. How much do we need the Lord? What do we need him for? Are we willing to wait as long as it takes, to do as much prayer and as much study as we need in order to discern that will, or are we ruled more by the urgencies of the moment? If what he wants is impolitic, challenging, unpopular or unpalatable, how willing are we to bow and do his will anyway? How can we open up spaces in our church lives and our personal lives for the Head of the Church to speak powerfully to us again? Great article. Just curious, why do you choose to fellowship in a church where you clearly disagree with how they operate? Good question: maybe I'l have to do a post about that. People might find it interesting. The short answer is this: local churches change. They begin committed to one thing, then get committed to something close to it but not it (all the while using the language of their original convictions) and then not committed to the principle at all. And when that happens, we're all faced with a difficult choice, and have to ask ourselves, "Just how far can I/should I let this go, and what should I do if I don't"? For different situations, different answers are probably appropriate. Discernment is the big challenge there, to be sure.